Yelan was born in Datong, a city in China's northern Shanxi province. 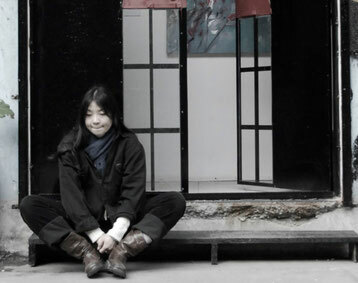 Yelan spent her childhood and teenage years in Datong and Beijing, growing up in an atmosphere of art and culture. 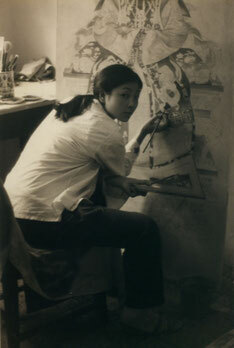 In her youth Yelan was heavily influenced by the art of Chinese antiquity, particularly the grottoes of Yungang. Other historic sites which have had a significant impact on Yelan include the grottoes of Dunhuang and the wall murals of Yongle Temple. Exposure to such artwork as a child and adolescent ignited Yelan's passion for art. From 1995 to 1999 a Taiwanese private museum purchased a series of Buddhist paintings from Yelan while she was attending high school. As the first official purchase of her artwork, Yelan regards this as an important event in her artistic career. Upon completing high school Yelan was accepted into Renmin University in Beijing for a Bachelor of Literature with a specialization in ink painting. 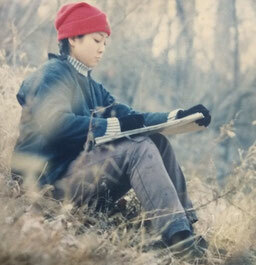 After graduating in 2004, Yelan moved from Beijing to Shanghai to pursue her career as an artist. In 2005 Yelan established her first studio in Shanghai at Tianzifang, followed by a studio at Weihai Road in 2007. 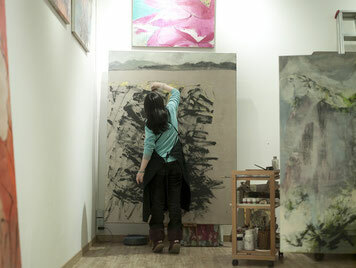 In 2009 Yelan moved her studio toits current location at 50 Moganshan Road. A number of Chinese artists have had a profound influence on Yelan and her painting style. 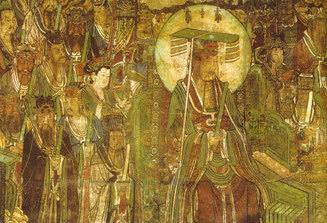 The most prominent of these artists include Xu Wei, Liang Kai, Fa Chang, Song Huizong, and Lin Fengmian. In addition to these Chinese artists, Yelan has also been deeply influenced by various western artists, such as Hans Holbein the Younger, Claude Monet, Henri Matisse, J. M. W. Turner, Salvador Dali, and Egon Schiele. Yelan's artistic inspiration has also been affected by the writings of numerous philosophers. Among the most notable of these philosophers are Jiddu Krishnamurti, Rabindranath Tagore, Georg Hegel, Kahlil Gibran, Carl Gustav Jung, and Bertrand Russell. Buddhist and Daoist philosophy has had a similarly profound influence on Yelan and her artwork.